After a third loss in the space of a week, QPR manager Steve McClaren is once again left wondering when his luck will change. A 2-1 defeat to playoff chasing Bristol City kicked off a forgettable seven days for the west Londoners last Tuesday, before the visit of Watford in the FA Cup ended in further disappointment, as a scrappy first half goal from Etienne Capoue knocked the Hoops out of the competition on Friday evening. Last night, after managing to come back from behind twice against West Brom, the R's slumped to yet another defeat thanks to a 94th minute strike from Jake Livermore. Jefferson Montero had initially put the Baggies in front within five minutes, before Luke Freeman hit back for the hosts ten minutes before half-time. Newcastle loanee Jacob Murphy then put the visitors back in front just after the hour mark, before a Tomer Hemed spot kick drew QPR level with just 15 minutes left on the clock. Freeman then limped off with a hip injury and with the hosts already using all three of their substitutions, they were forced to see out the remaining stages with just 10 men. 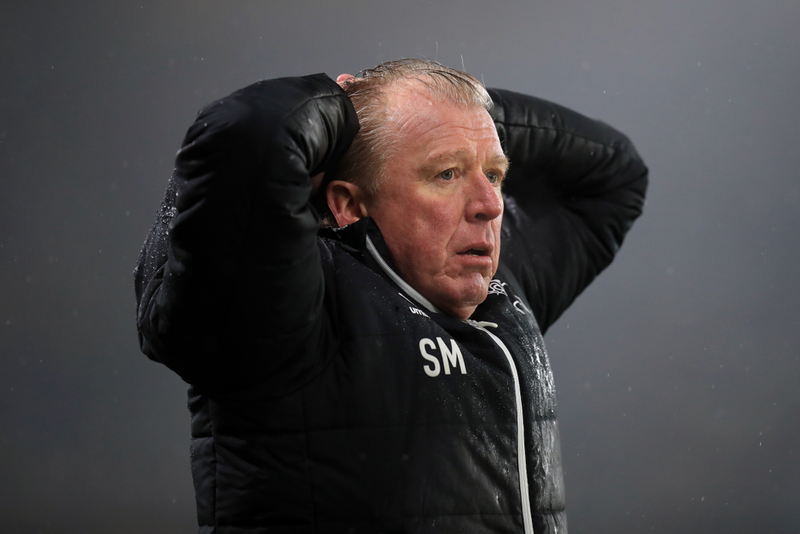 As the game approached its climax, the points looked as though they would be shared at Loftus Road, which would have been an extremely positive result for Steve McClaren's side after a poor run of form has left them 18th in the Championship, ten points above the drop zone. However, Darren Moore's resilient Baggies outfit forced an opening right at the death, with the ball falling kindly to Livermore just outside of the six yard box and he made no mistake in slotting it home past Rangers keeper Joe Lumley. Last night's result means that West Brom still remain firmly in the automatic promotion mix, just three points behind league leaders Norwich and a point behind both Sheffield United and Leeds who currently sit respectively in second and third place. For QPR though, it was another dose of late heartbreak, with manager Steve McClaren once again left wondering when his luck is going to change. Though last night's result was nowhere near as emphatic as the 7-1 defeat they suffered in the reverse fixture at the Hawthorns in August, it would have been just as hard to stomach. A sixth straight league defeat for QPR sees them travel to fifth place Middlesbrough with little momentum on Saturday, before another extremely challenging tie at home to title chasers Leeds next Tuesday rounds off a difficult February for the west London outfit. It's not just the results that will be getting to McClaren though, but the manner in which they have been losing. Rangers' previous three league games have all involved stoppage-time heartbreak, with their defeat to Bristol City last Tuesday coming courtesy of a 94th minute penalty from Robins front man Famara Diedhiou. Prior to that, Nahki Wells missed a last minute spot-kick which would have seen QPR rescue a point against Birmingham City, after a magnificent comeback saw them come from 4-0 down to almost draw with Garry Monk's men. A slender 2-1 defeat to strugglers Wigan at the start of the month also bought with it much debate, as Rangers were denied what McClaren described to be a "blatant penalty" in the last minute of the game at the DW Stadium. "That’s football, and football's a cruel game. It's been cruel to us the last four of five," said the former England boss. "The 94th minutes have not been good to us. We've missed a penalty to equalise at 4-4. At 94 minutes at Bristol it should never have been a penalty. "And tonight, 94 minutes, losing a man, down to 10 men, I thought we were going to hold on and deservedly hold on because the character of the team and the fight of the team is not in question for me. "I thought there was only going to be one winner until we lost Freeman, and then I’m thinking we’ve got to hold on for a point. It’s a cruel, cruel blow." "WE'RE QUITE A TOGETHER GROUP. WE'LL WORK HARD AND GO AGAIN." Following the defeat, R's midfielder Jordan Cousins said that they can take heart from their recent performances, despite results not reflecting their efforts on the pitch. "It's pretty tough, hard to take. We worked so hard throughout the game and to get nothing out of it is disappointing," said the 24-year-old. "We had opportunities and I thought we showed great character to come back into the game. It's very disappointing to take nothing from it. "We worked tirelessly throughout the game and we're just not getting the luck at the moment. "There are positives to take. We're playing well and showing great character to get back into games, we're just not getting the rub of the green at the moment. "We're quite a together group. We’ll work hard and go again," added Cousins. Another massive blow for Rangers is the injury to star performer Luke Freeman, who looks certain to miss this weekend's trip to Middlesbrough following a hip injury sustained in last night's encounter. While it is not thought to be serious, with just four days to recover Freeman's involvement in Saturday's clash at the Riverside looks unlikely. Ten points currently separate QPR from the relegation zone, but with two extremely difficult fixtures approaching against two of the division's strongest sides, alongside games against fellow strugglers Stoke, Rotherham and Bolton all featuring throughout March, it's make or break for the Hoops right now and they could easily find themselves in real trouble should their luck fail to change.